Guest Speakers visit Mrs. Hagler's Classroom! 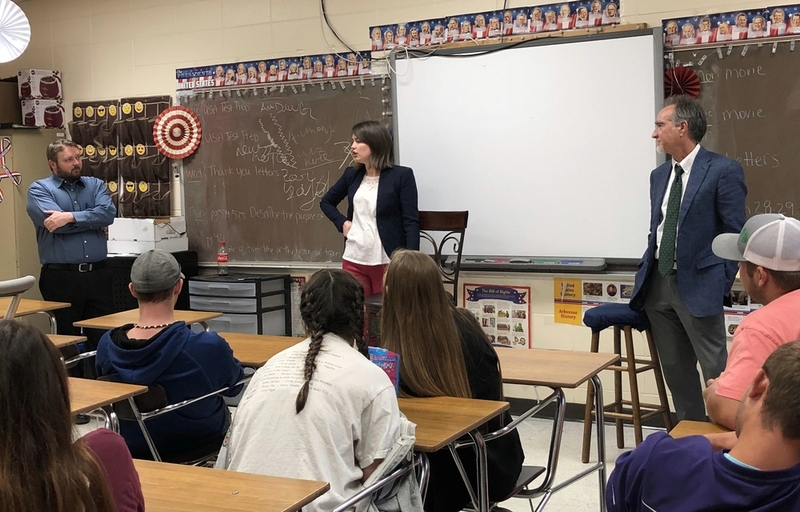 In recognition of Law Day, guest speakers Ryan Rainwater, Molly Shepherd and Jim Bennett visited Mrs. Sarah Hagler's classes! They talked about what they do in their everyday jobs and what rights the students have.